[ Rafael Kubelik, Czech-born conductor and composer. ] Autograph Signature. Rafael Kubelik [ Rafael Jeroným Kubelík ] (1914-1996), Czech-born conductor and composer. Good firm large signature in blue ink on 13.5 x 18.5 cm leaf of cream paper torn from an album. In good condition, lightly aged. Reads 'Rafael Kubelik | 25.X.37.' No other writing on either side of the leaf. [ Martin Fischer, German classical musician. ] Duplicated copies of autobiography 'Martin Fischer erzählt aus seinem Leben' and book of poems '"Oden", Briefe lyrischen Charakters aus dem Blickfeld eines Musikers', both inscribed to Richard Hutchins. 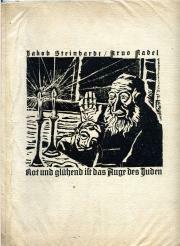 The autobiography dated from 'Berlin, im Oktober 2008', with inscription dated November 2008. The poems without place or date, but with inscription dated from London, 27 May 1981. Both items in good condition, lightly aged, and both in yellow wraps, with plastic clamp at spine holding the loose leaves together. ONE: Autobiography. + 46pp., 8vo. Illustrated with two full-page photographs of Fischer, one showing him as a ten-year-old boy, with autograph caption. The item is signed at the end 'Martin', and has the following inscription on a leaf of green paper at the front: 'Dear Richard, | Times went by, I promised to send you these pages because always the memories of our friendship and your Kindness are a big joy for us. 'Im Mai 1930 gedruckt in den Werkstätten der Vereinigten Staatsschulen für freie und angewandte Kunst, Berlin'. Number 17 in an edition of 50. Very good in slightly grubby portfolio. The portfolio is half-bound in black buckram with grey paper boards, dimensions 34 x 27 cm. On front board: 'JOSEF SCHWARZMANN | FÜNF RADIERUNGEN'. Dimensions of mounts and letterpress leaves (in thick cream wove paper) 32 x 25 cm. Initial bifolium consists of title and contents leaves, the latter giving the titles of the five engravings as: '1. Sitzender Junge', '2. Portrait H. W.', '3. Portrait L.', '4. Bäuerin' and '5. Landschaft'. [ Martin Fischer, German classical musician. ] 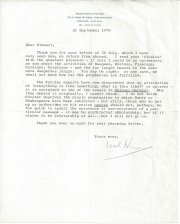 Fourteen Autograph Letters Signed (all 'Martin'), in English, to Richard Hutchins, giving news of his activities as a viola player under von Karajan at the Berlin Philharmonic. One dated from Berlin, 27 February 1963. The rest from between 1976 and 1981. A total of 50pp., of which 46pp. are 8vo, and 4pp. are 12mo. In fair condition, lightly aged and creased. Some letters also signed on behalf of his wife Helga and their son Andreas. Also present is the first page of a fifteenth letter, dated from Paris, 19 May 1972. An affectionate correspondence, filled with personal and professional news. On 3 August 1978 he writes from St Oswald in Austria of a visit to East Germany: 'Our orchestra played for the first time at Dresden and Leipzig!! [ Jack Bilbo, German émigré artist and author. ] Typed Note Signed to the theatrical bookseller Barry Duncan ('Barry'), with reference to a 'round-the-world trip'. On letterhead: 'on board M.Y. BAMBULA' 28 August 1948. 1p., 12mo. In good condition, on lightly-aged paper. The letterhead features a pirate flag, prinnted in red, blue and black, with a shark and skull and crossbones. He thanks him for a catalogue, adding that he will be 'dropping in' to see him 'before I leave on my round-the-world trip in a few weeks' time'. Four pages, 8vo, large handwriting, fold marks and miniscule remnants of an album page. He thanks her, in his "bad English" for "Miss Constance's photograph [..] which reminded me of many an agreeable hour I had the honour to spend in your society." He has remembered his promise to send her a photograph of himself at Kissingen. "I hope Miss Constance will favourably reeive this one. There is already a good reminder of our Kissingen fellow-sufferers or rather play mates in my collection, from England especially I have besides Miss Constance's Sir Henry and Lady Fletcher, Mr. Campbell's Mr.
[Martin Schwarzenlander [Martin Fischer], Austrian composer.] Autograph Score of his adaptation of Purcell's 'Fantazia In Nomine', with Autograph Letter Signed to dedicatee Richard Hutchins, copy of another version of the work, and of three others. Autograph Score dated 'Berlin, 1976/77'. Copy of second version of the piece dated 'Berlin, 20. Juni 1977'. 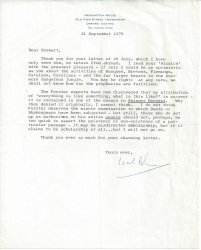 Letter dated from Berlin, 16 December 1980. All items in good condition, lightly aged and worn. ONE: Autograph Score. 7pp., 4to. On printed music paper. Sewn into green card printed wraps. Title: 'Henry Purcell | "Fantazia In Nomine" | (1680) | in seven parts for strings (viola da gamba a. s. on) | Adaptation for 12 parts for the 12 Cello-players of the Berlin Philharmonic Orchestra from the original manuscript in The British Museum, London, from Martin Fischer | (This is my first version of the adaptation) | Meinem lieben Freund Richard Hutchins, Waynflete, England, in Dankbarkeit zugeeignet. Berlin, 1976/77'. [English travel diary of a tour through Germany in 1844.] Autograph 'Tour through Germany in 1844' [by Harriet Georgiana Sophia de Zoete of London], taking in Bohemia, and including an encounter with Baron von Humboldt. Germany and Bohemia. 10 July to 9 September 1844. 118pp., 12mo. In original embossed black morocco leather binding, with marbled endpapers and edges. In good condition, lightly aged, in worn binding. Attributed in pencil on first page to 'H. G. S. de Zoete'. [Friedrich Kohlrausch, German physicist.] Autograph Letter Signed ('F. Kohlrausch'), in German, to 'Professor Rücker [Sir Arthur William Ruecker]', on the subjects of trams ('elektrischen Strassenbahn') and the 'Reichs-Telegraphic' and 'Telephon'. On letterhead of the Physikalisch-Technische Reichsanstalt, Charlottenburg. 15 November 1896. 2pp., 12mo. 37 lines of text. Bifolium. In fair condition, on aged and worn paper. The first sentence reads: 'Gegen das Projekt einer elektrischen Strassenbahn mit Erdleitung habe ich Einspruch erhoben und das Projekt ist von dem Polizei-Praesidium und von dem Ministerium fur offentliche Arbeiten untersagt worden.' The last paragraph refers to 'die Reichs-Telegraphic', 'Telephon', and 'Linien mit Erdleitung in Berlin', and contains a bar of music. [Printed 'University of London Institute of Education' pamphlet.] Educational Problems in the Far and Near East. Three Lectures delivered in the Institute. [University of London Institute of Education.] Published for the Institute of Education by Oxford University Press. London: Humphrey Milford. 1933. 44pp., 4to. With frontispiece photographic portrait of the author. In grey printed wraps. In fair condition, on lightly-aged paper in loose front and back wraps detached from one another. Stamps, shelfmarks and label of the Ministry of Education Reference Library, London. Six copies on COPAC. [Charles Conway Thornton, Second Secretary at the British Embassy, Berlin.] Autograph Letter Signed ('Conway Thornton') to Lady Florence Head, providing a detailed 'list of times & places' for a reception in the Stadtschloss, Berlin. Berlin [on British Government embossed letterhead]. 19 January 1893. 5pp., 12mo. The letter proper is three pages long, on a bifolium, and is accompanied by a two-page 'list of times & places' on a separate leaf. Very good, on lightly-aged paper. With 18 x 23 cm letterhead, on the cover of which Thornton has written 'To | Sir Robert Head. Bart. | III | Zimmer Strasse 97 | Hier. ', with his signature 'C. Thornton' in the bottom left-hand corner. Autograph Letter Signed ('N. Orloff') from the Russian diplomat Prince Nikolay Alexeyevich Orlov [Prince Nikolai Orloff], apologising for missing 'Mr. Cartwright', and suggesting a meeting in the 'metropolis' [New York] during the Grand Duke's visit. 1p., 12mo. Good, on lightly-aged and creased paper. The letter begins: 'I beg a thousand time pardon, dear Mr Cartwright for my coming too late yesterday at your house. One page, 4to, with backing paper, small loss at one corner, faint foxing, small closed tear, sl. ruckled in parts, mainly good, with text complete and legible. "The royal library of Berlin being very complete in the litterature [sic] of botany, wants yet the valuable and beautiful work by which you have explained andf illustrated the nature and characters of the genus of pines; and by the acquisition of which I desire very much to add a new and important ornament to our extensive collection. 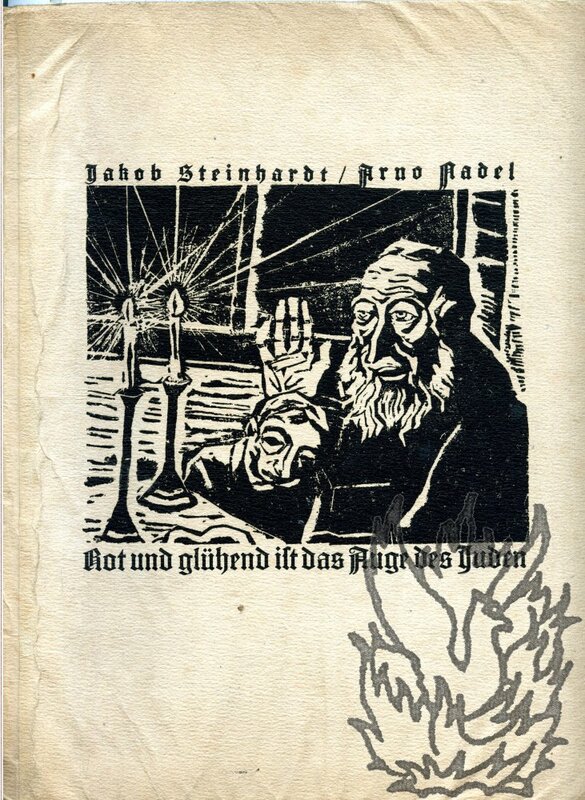 [Mimeographed typescript of decision in case of Nazi confiscation of a Jewish printing press in Poland.] Supreme Restitution Court for Berlin. Decision. [...] In the Restitution Case of Mr. William (Wladyslaw) CYPEL, [...] versus the GERMAN REICH. 6pp., foolscap 8vo. Paginated 1-6 at the head of the page, and 867-872 in the corners. On three leaves stapled together. In good condition, on lightly-aged paper. Autograph Letter Signed from the writer Robert Innes-Smith, friend of British Union of Fascists leader Sir Oswald Mosley, to James Royston Clark, tried for treason at end of war as 'Number Two' broadcaster in Berlin to 'Lord Haw Haw' [William Joyce]. On letterhead of The Old Vicarage, Swinburne Street, Derby. 20 March 2000. 2pp., 12mo. Good, on lightly-aged paper. He begins by enquiring whether the recipient is 'the J. R. Clark who appeared recently on TV', whom he 'would love to meet'. 'In 1934 my two aunts were in Germany and wrote letters home. They were keen Nazis and my older aunt met Goering & Goebbles. My grandparents and younger aunt were given luncheon by the Mussolinis when in Rome.' He was 'rivetted' by the television programme, as he was 'transcribing the letters sent to their mother by my aunts when the programme was broadcast'. Im Mai 1930 gedruckt in den Werkstätten der Vereinigten Staatsschulen für freie und angewandte Kunst, Berlin'. Autograph Letter Signed ('Rennell Rodd | priv: sec:') to unnamed male correspondent. 13 September 1888; on official letterhead from the British Embassy, Berlin. 12mo, 2 pp, 10 lines. Good, on lightly aged paper, with scrap of brown paper mount adhering in top right-hand corner on the reverse (not affecting text). Concerns a volume which 'has been duly forwarded to Count Seckendorff, Comptroller of the Household of Her Majesty the Emperess Frederick'. 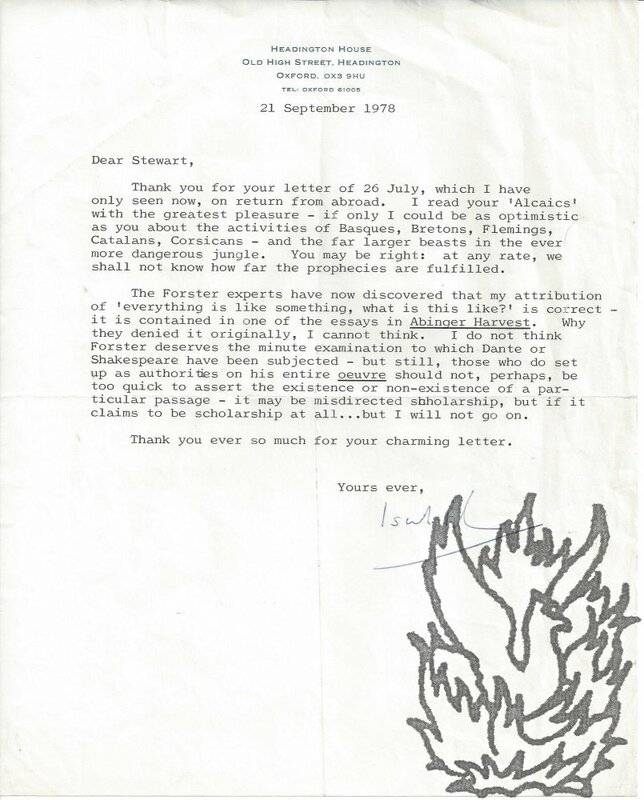 The Ambassador Sir Edward Malet has asked Rodd to express to the correspondent 'his personal thanks for the second copy you were good enough to forward to him'. Undated. 'Christo 1994 / offset printed in France / CP 1857'. Picture postcard. Very good. Captioned 'Christo | Wrapped Reichstag, Project for Berlin [...] collage - 1987-1994'. Image in colour of the collage, with representation of wrapped Reichstag above map. The two signatures in black ink beneath.